MTB Beds day trips are just the ticket. We run a fully licensed and insured service to resorts across the alps, with a particular focus on the Aosta Valley. These are some of the best days you could wish to have on a bike, and we can organise everything for you! 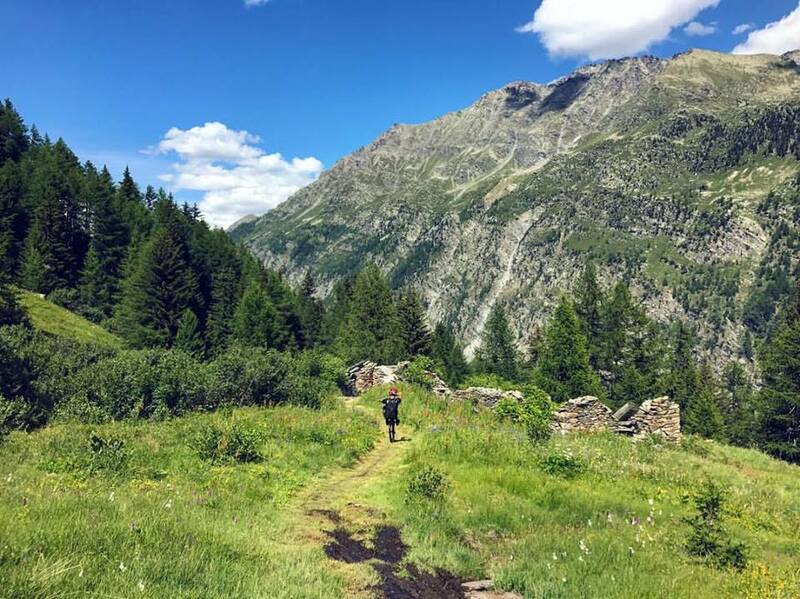 The Aosta Valley, nestled on the other side of Mont Blanc, just an hour and a half from Morzine, is an incredible area to ride your mountain bike. Here you have everything, the flat out and loose DH trails of Pila, the Long loamy enduro trails on the opposing hillside to it, or the mini DH style lift assisted trails of La Thuile. No matter the bike or rider, there are so many reasons to make a day trip out of Portes du Soleil to the Aosta Valley! We use Aosta Valley Freeride and Lorenzo Suding as our guides. Lorenzo is 2017 National Enduro Champion, ex-top 20 World Cup Downhiller and quite possibly the nicest, funniest and friendliest guy you could wish to meet. The fact he shreds on a bike and is willing to show you where and how to shred too, makes MTB Beds trips out to the Aosta Valley all the better. Morzine is amazing, but a day out here never fails to bring the stoke! La Thuile is an enduro bike mecca. It's a unique place in that a DH bike is almost too much here, but a 150mm + trail bike is perfect. Lift assisted, long descents though old pine forest or epic long traverses out beyond the lifts this really is the place to get that sense of adventure. A guide here is strongly recommended, it allows you the freedom to not worry about where you are or about getting lost, giving you the maximum time riding. MTB Beds' relationship with Aosta Valley Freeride and Lorenzo Suding means you can ride safe in the knowledge you are in good hands. The Aosta Valley is littered with enduro bike trails that rarely see a bike. There is no chair lift, no piste map. For these adventures, and they really are epic adventures, you need a van, a trailer and a guide that knows the terrain like their own backyard. They know it that way because it is, Aosta Valley Freeride grew up here, they know every kind of descent, traverse and network to give you some of the most inspiring and memorable rides of your life. These day trips from Morzine really make the holiday one to remember, the trails in the Aosta valley are world class and make any MTB holiday to Morzine even better.